BMW's market capitalization is lower than Tesla despite the German automaker's profitabilty. Elon Musk's tentative proposal to take Tesla private isn't a bad idea for an automaker, it is just that the money-losing U.S. company is the wrong choice. 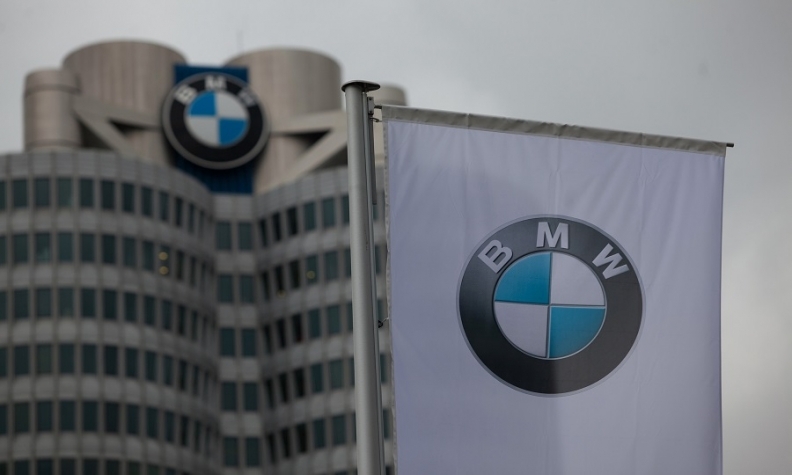 BMW is a far better candidate for a buyout. 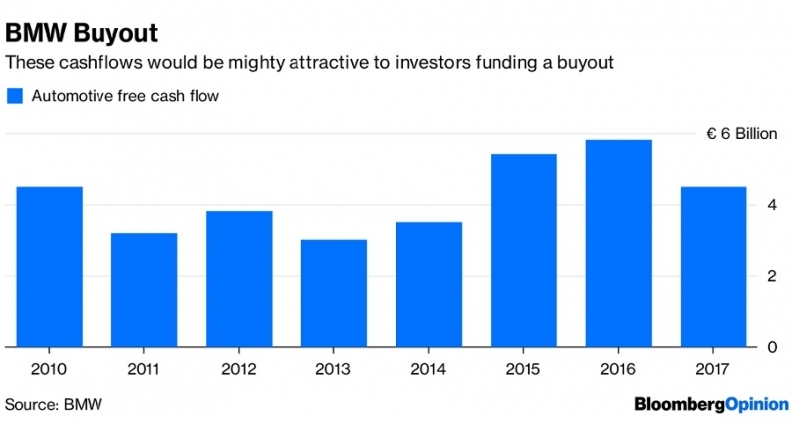 "BMW is awash with cash, it's grossly undervalued, LBO funds would queue to back it as they could get their money back in a few years," says Max Warburton at Bernstein Research. "Tesla has negative Ebitda, and couldn't pay the funding costs for more than a month or two." To recap, Musk hates probing analyst questions, dealing with short-sellers and the burden of hitting quarterly earnings targets. But the stock market has actually been amazingly kind to Tesla. Its equity is valued at close to $65 billion, which is pretty good for a company that sold about 100,000 cars last year. It has burned roughly $8 billion of cash in the past four years, according to Bloomberg data, but Musk's fiercely loyal shareholders have been happy to keep funding his vision. Contrast that with BMW, whose automotive unit has generated about 19 billion euros ($22 billion) of free cash flow since 2014 from the more than 2 million cars it sells annually. Yet, bizarrely, its 55 billion-euro market capitalization is lower than Tesla's and the German group's shares trade at a measly 7.5 times estimated earnings. Tesla doesn't have any earnings to compare. Unlike Tesla, BMW gets no credit for its long-term thinking, which includes early investments in electric vehicles such as the i3 – not the prettiest car, to be sure, but very impressive technically. And unlike Tesla, BMW's heavy spending hasn't prevented it from hitting short-term earnings targets. So, if Musk is frustrated, imagine being the Quandt family, which controls about 45 percent of BMW's shares. Their combined $43 billion fortune would be a lot bigger if the company had a more reasonable valuation. Most of that fortune is locked in BMW's shares, but past dividends from the company have given the family plenty of firepower to deploy in a buyout. The automotive business boasts about 19 billion euros of net liquidity, some of which could be used to pay down debt to buy out free-float shareholders. And, if money became tight, BMW could always spin-off its trophy asset Rolls-Royce. Ferrari's successful listing shows there’s a market for companies like that. It could also halt dividend payments that totaled more than 2 billion euros last year. Of course, all of this is highly unlikely. Like most German family owners, the Quandts are famously conservative. Unlike Musk, they shun the limelight. The Schaeffler family's ill-fated and debt-funded acquisition of Continental shares in 2008 is a cautionary tale for the country's billionaire dynasties. Even so, investors thinking of helping Musk take Tesla private might at least want to ask the question, would Munich be a better bet than California for the future of cars?